Here are some pics from the Viera Recreation Center and Satellite Recreation center. 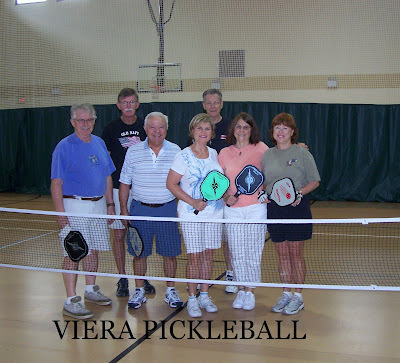 It was a little bit of challenge trying to convince the director to give us time to play a silly game called Pickleball. We had such a good response the first two weeks that we had to get a third net to accommodate all the players. I think that they know that we are here to stay…. Health First is also now open for Pickleball play. We had our first clinics , with a great turn out. 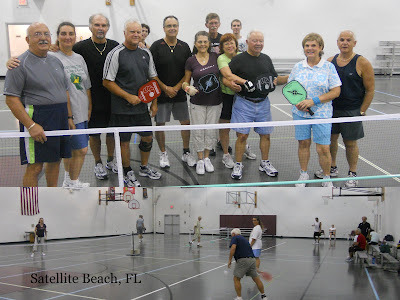 With the help of Dave and Deb Christian we ran successful beginner and intermediate clinics. It is a semi private facility so no pictures are allowed to be taken.